I haven't joined The Butterfly Project events in...5 months?Been busy moving to a new office,work,my side baking business,went on a holiday,joined Markets and so many more.I've missed my Butterflies dearly! I've worn Kiehl's products before and I know for a fact that they actually works..so I was excited when I heard from The Butterfly Project that Kiehl's are launching their latest product--the Ultra Facial Oil-Free Gel Cream.It sounds great!So I really want to join the event because I'm also a "Friends of Kiehl's"(that's what they call their members..cute right?? 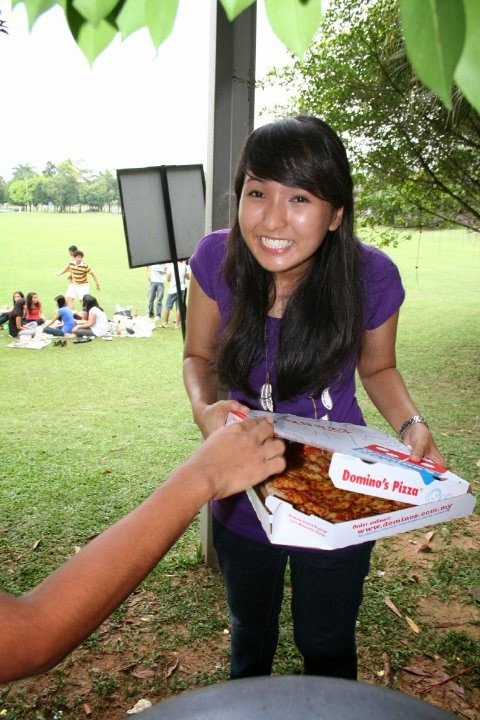 ).Furthermore,I've oily skin.What a perfect event for me! Ultra Facial Oil-Free Gel-Cream Our Ultra Facial Oil-Free Gel Cream is a non-oily, quickly absorbed hydrator that visibly reduces the appearance of oil and leaves skin looking and feeling more balanced. The oil-free gel cream works synergistically with skin’s natural lipids to visibly reduce excess oil on skin’s surface. It is non-greasy, and retains essential moisture in skin for a healthier, re-balanced skin barrier and a smoother, fresher appearance. With Imperata Cylindrica Root Extract, Antarcticine, and Cucumber Fruit Extract, this unique preparation helps skin retain moisture and protect it from arid conditions. The unique gel cream texture is instantly absorbed leaving a dry feel. Oil-free, paraben-free, fragrance-free, colorant-free. The cream sounds heaven sent to me as I'm always on the lookout for skincare products that can help curb my oily skin.Living in Malaysia doesn't help with my oily skin as it's always hot and humid.Having oily skin makes my makeup slides off easily.Easily! So,The Butterfly Project have asked me two questions that's in accordance with the event.. The reason why I need 24 hour no-shine fresh hydration is because I've been living with oily skin my whole life.This meant that i'm constantly on the lookout for skincare products that can maintain the moisture level of my skin while keeping it shine free.And believe me..it's not easy! Some products claimed to be oil-free but they actually dry out your skin which makes you produce more oil on your face. 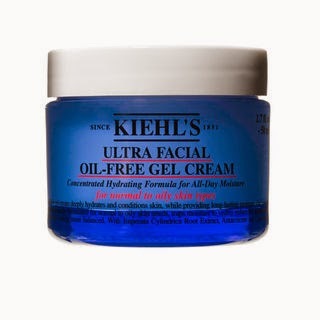 I've used Kiehl's product before(their Clearly Corrective™ Dark Spot Solution which worked wonders on my dark spots)but i've never used their Ultra Facial Oil-Free Gel Cream and I can't wait to see the result on my complexion. Also,having oily skin is a bother because makeup slides of easily on my face.I'm sure the correct moisturiser will fix this problem of mine.Trying to combat my oily skin takes a lot of work.I've to scrub my face using an oil free facial scrub,put on clay mask once or twice a week..wear matte powder on my face and using those oil absorbing sheets on a daily basis to keep me shine free..phewwww.Hopefully Kiehl's will be able to help me with my situation. Having a shine free complexion will definitely boost your confidence throughout the day because..you don't have to worry about looking like you have a greasy face.haha. 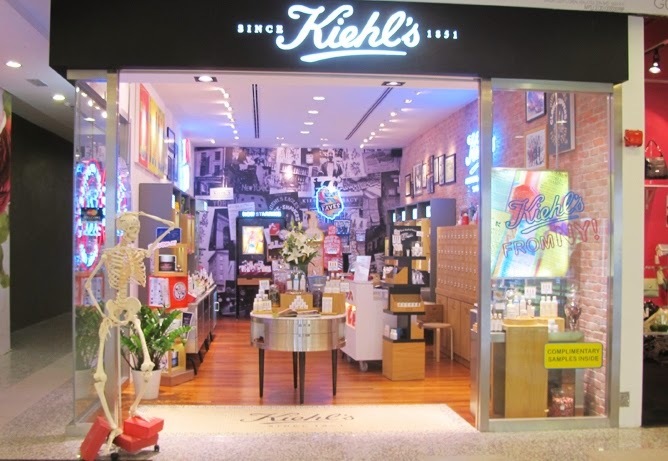 There's a lot of things that I love about Kiehl's..I've been to a few of their outlets here--Empire/Sunway Pyramid.Everytime I go to Kiehl's their staffs are always so helpful and would give lots of free samples without expecting you to buy anything from them.They are just super nice to you.That's great service! 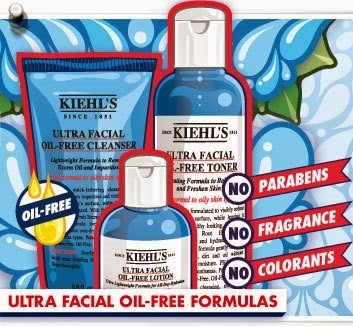 It goes to say that Kiehl's products are great!They are all natural-- no paraben,fragrance or colorants.This is great news for people with sensitive skin like me.I love how Kiehl's put a lot effort into ensuring that their customer gets their money's worth when they buy their products.